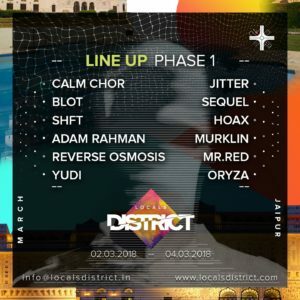 DISTRICT is India’s first, none of its kind Techno music festival marked to celebrate the 1st year completion of the music community “Locals”. 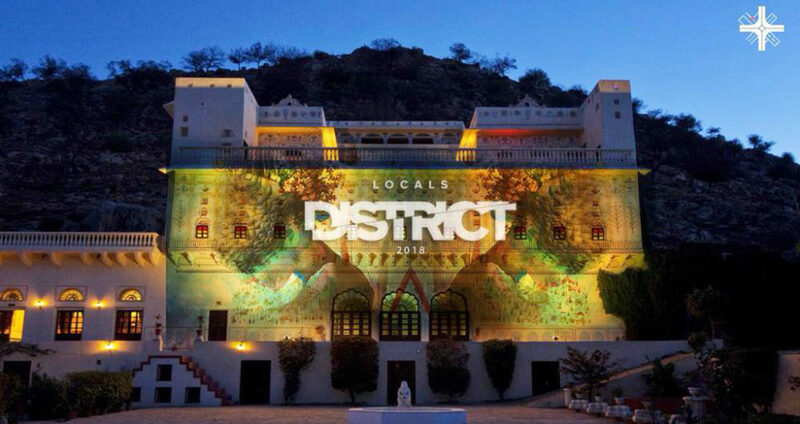 Locals is an initiative to bring local talent closer to its audience without losing its artistic purity. In the process, building a community experience where people from different walks of life can connect, communicate and share using music as a common medium. 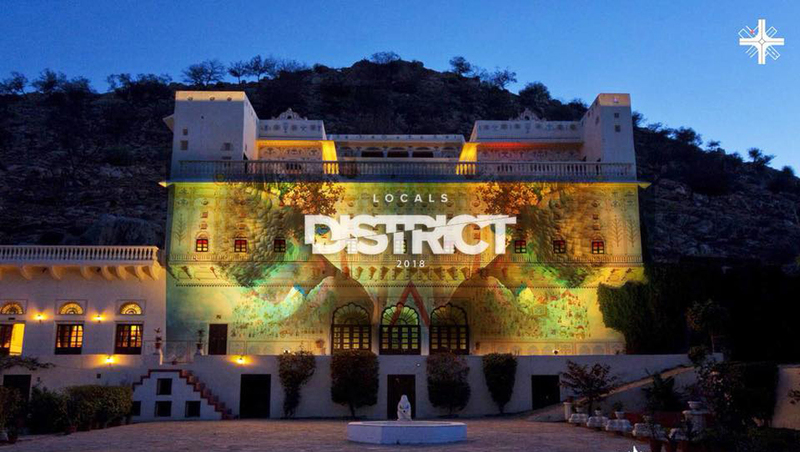 It is set to take place in Castle Kalwar, Rajasthan’s Jaipur region from 2nd – 4th March 2018. 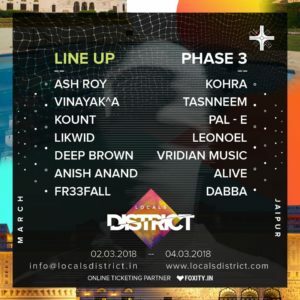 There will be over 40 artists performing at 4 different stages, bringing together talent across the wide spectrum of Techno music. 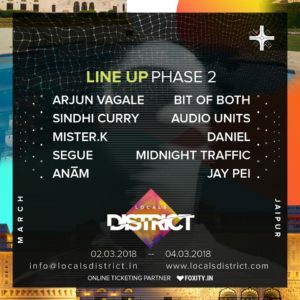 Some of our headliners are Arjun Vagale, Blot, Calm Chor, Ash Roy, Audio Units, Sindhi Curry, Kohra, Mister K, Hoax and few international artists.